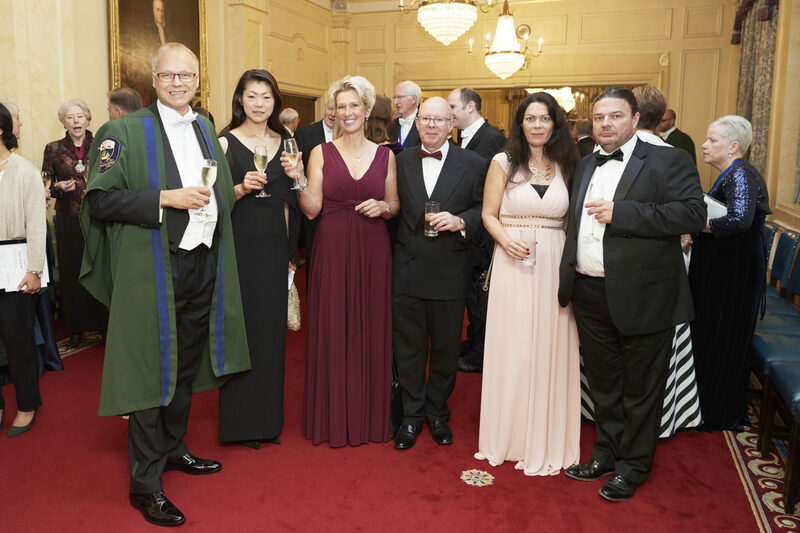 For many years, HEINE has specialised in the area of dermatology and developed products to meet the most demanding requirements. 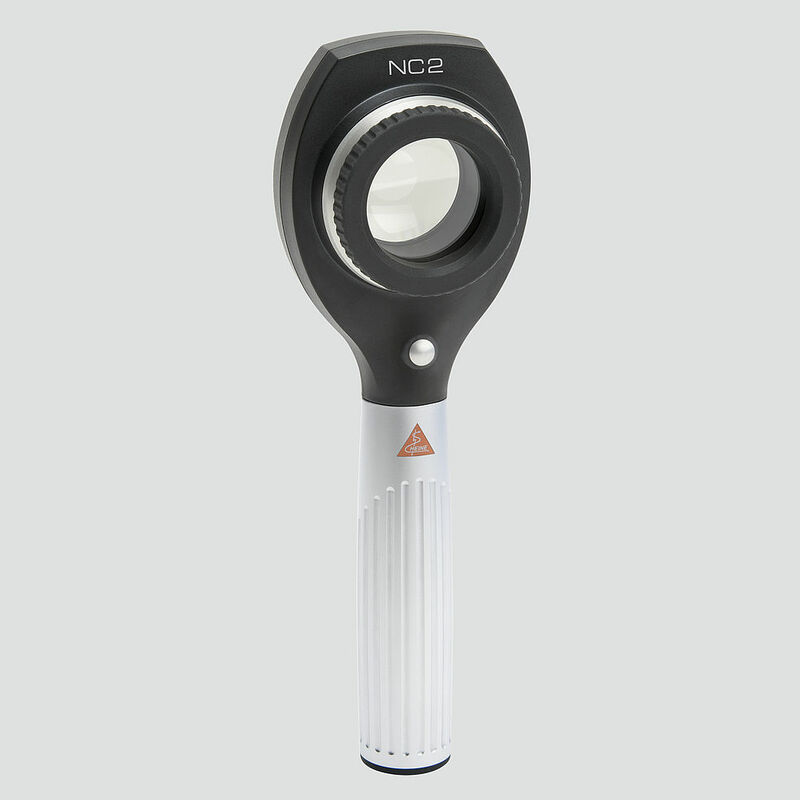 We offer various reflected-light microscopes depending on the application and the frequency of the application. The DELTA20 T combines precision optics with the option to toggle between polarised and non-polarised illumination (toggle function). 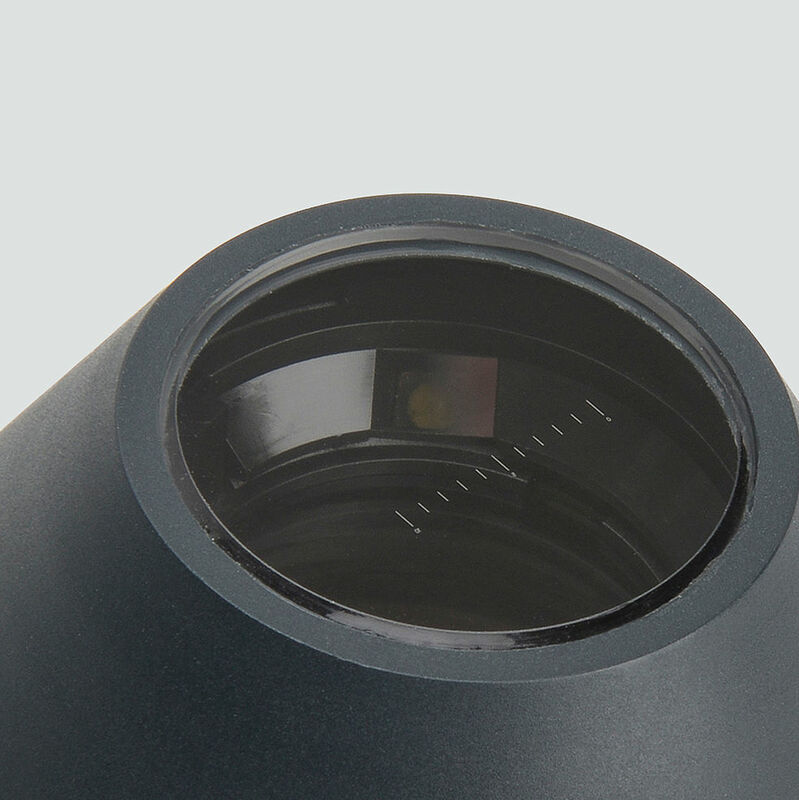 The focusing system provides a 10x to 16x magnification. 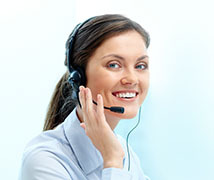 With the help of a special camera adaptor images can be documented and compared with previous examination results. 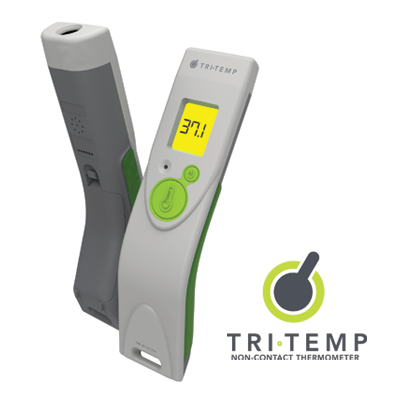 Due to its toggle function, the DELTA20 T allows pigmented and non-pigmented skin tumours to be assessed with both polarised and non-polarised light. The vascular structures of a skin lesion can be assessed particularly well with polarised light. Ever since the presentation of the revised 2-stage algorithm in 2010, vascular examination of the morphology and arrangement of the vessels has steadily gained in significance, especially when typical melanocytic structures are missing, e.g. upon manifestation of amelanotic melanoma. In a recent article by Yaei et al. 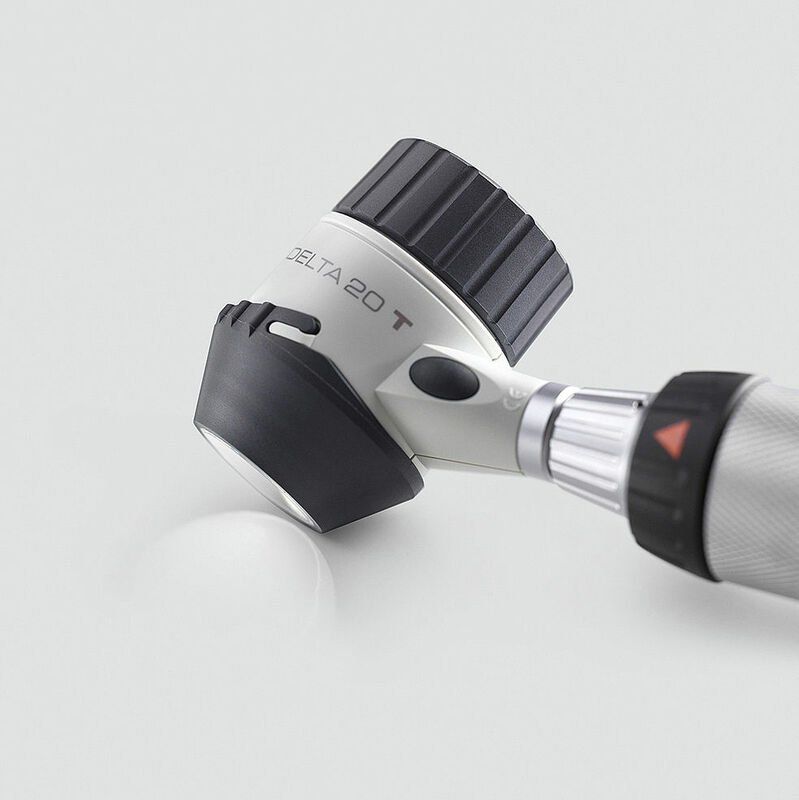 2017 in the Journal of Dermatology, the DELTA20 T is mentioned as being superior in the examination of vascular structures based on the optical precision and the toggle function of the dermatoscope. 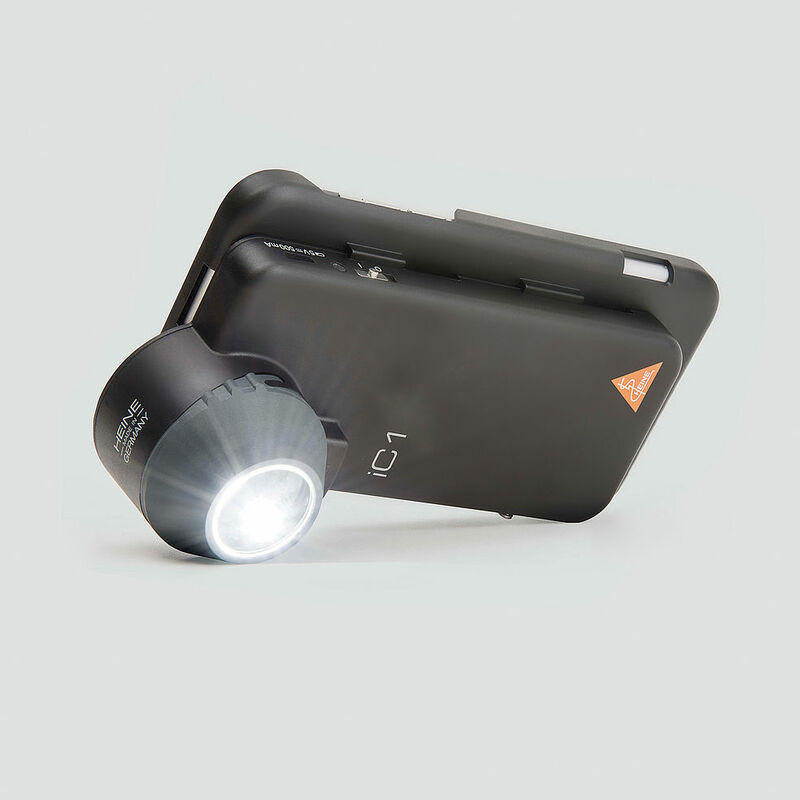 With the HEINE iC1 you will always have state-of-the-art technology and be absolutely mobile. 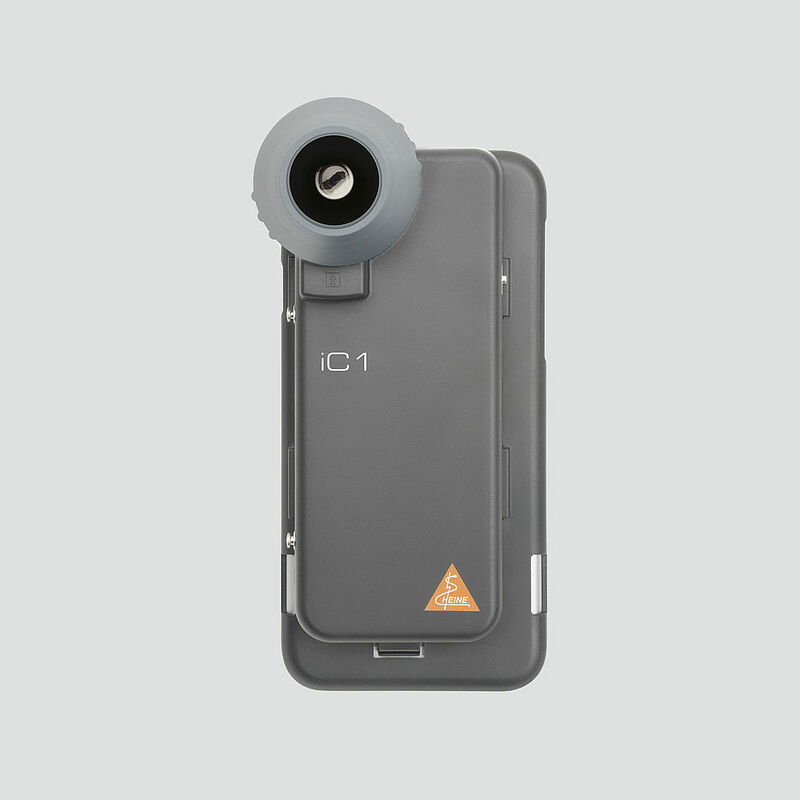 The high quality HEINE Precision Optics of our iC 1 combined with an Apple iPhone and the HEINE iC1 App make it the ideal device for health care professionals who wish to have an integration into their practice management. 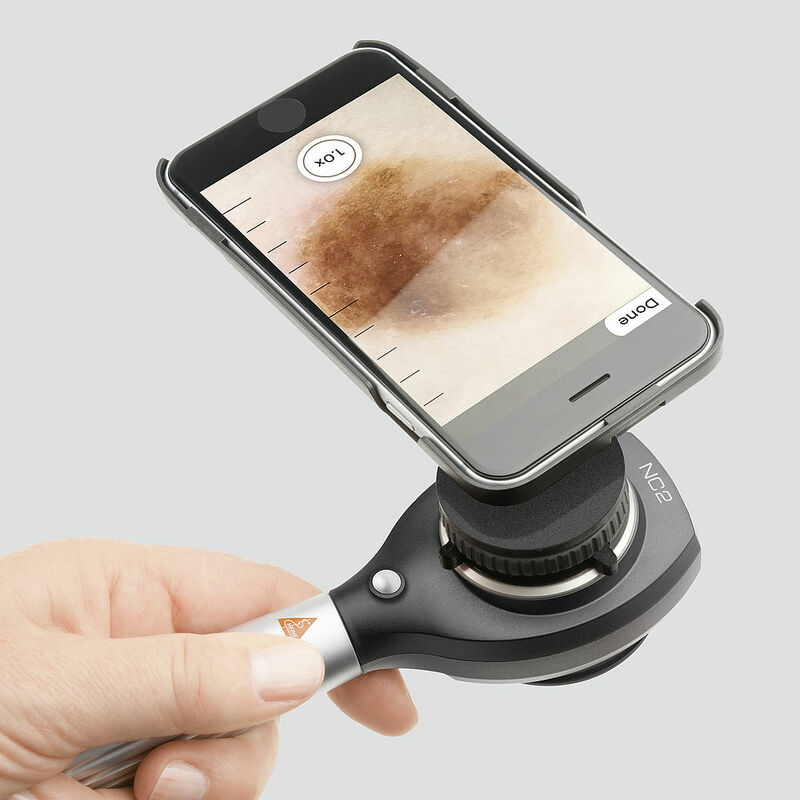 Dermatoscopy goes digital. And mobile. Sharp, sharper, sharpest. 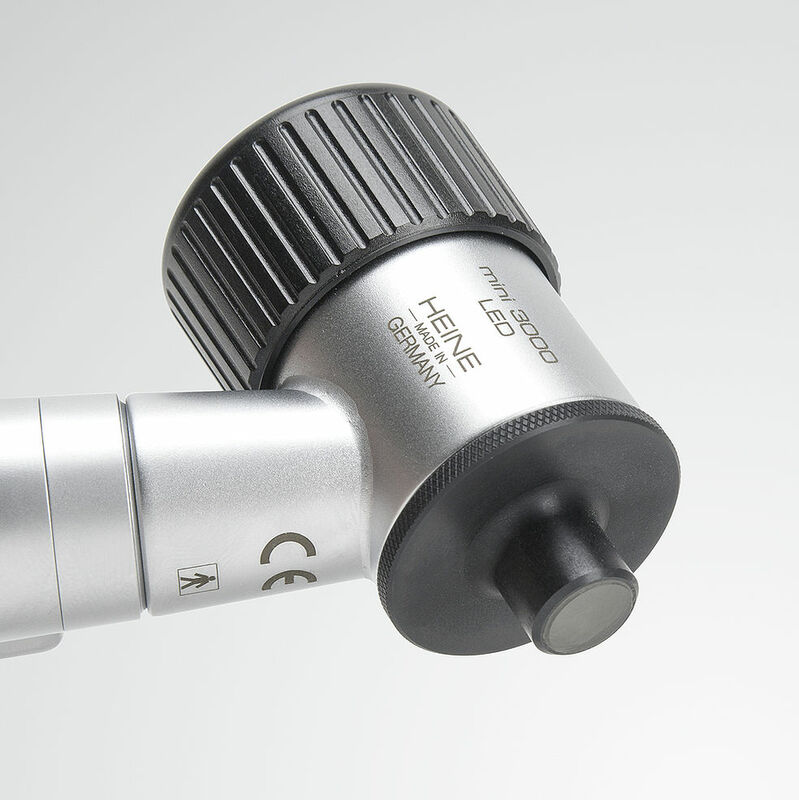 The HEINE iC1 is a device designed for capturing clinical and dermatoscopic images for documenting and supporting differential diagnosis of melanomas and other skin lesions. And in our unrivalled quality. Sharp and shadow-free. Thanks, on the one hand, to our precise, aspherical optical system and, on the other, the 12-megapixel image quality when using an iPhone®* 6s or a later model. 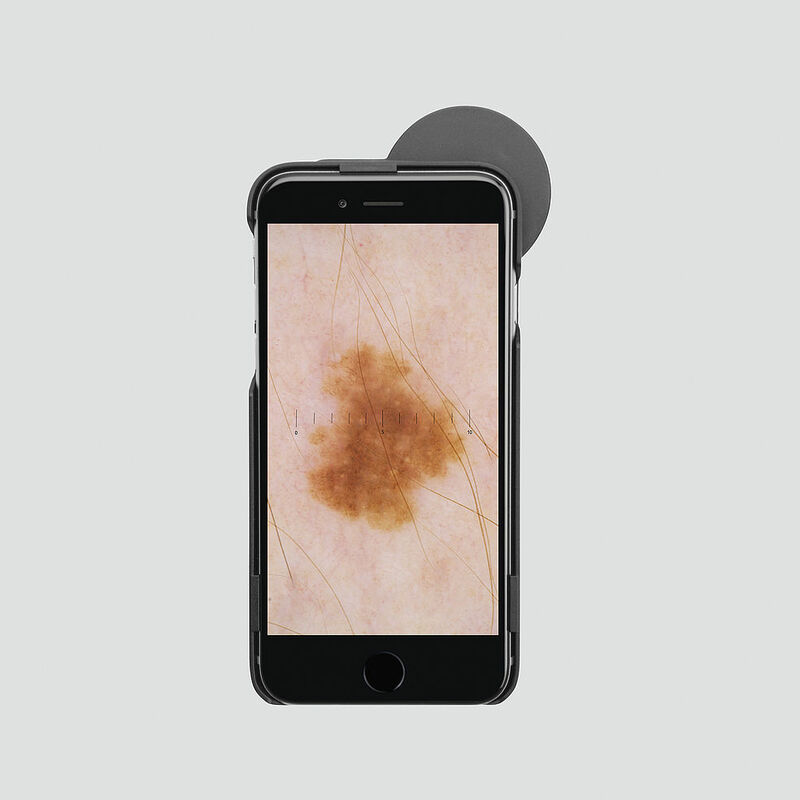 Simply download iC1 App, insert your iPhone and experience digital dermatoscopy like never before. Big, bigger, biggest. 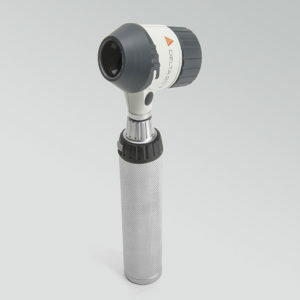 The high-quality aspherical optical system with up to 40× true magnification offers everything you need in a practice. 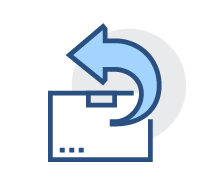 At the press of a button – the toggle function. 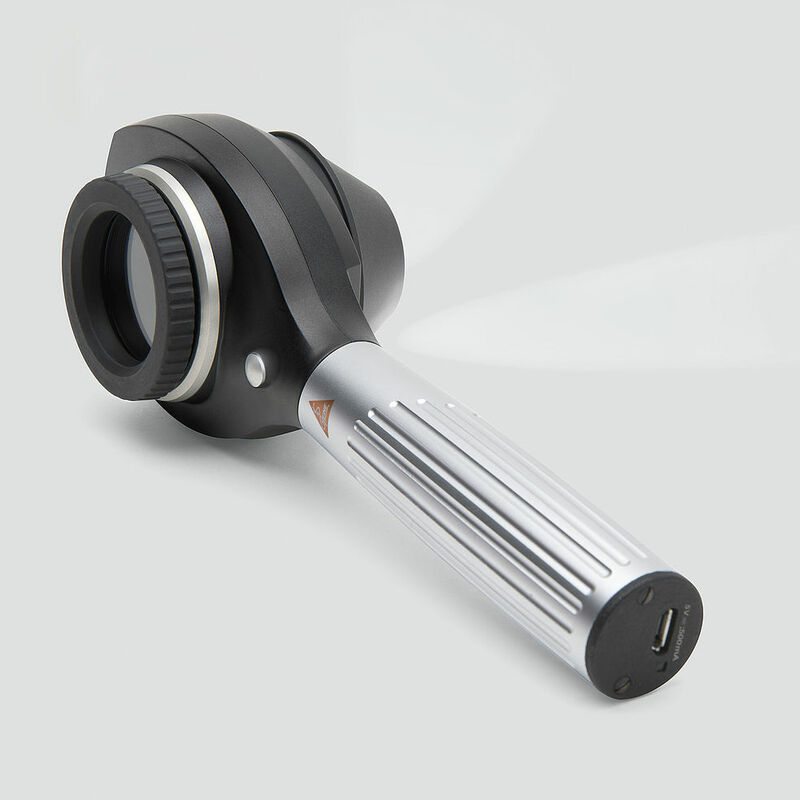 With two switching buttons, the option to switch back and forth between polarisation and immersion images is always within easy reach, regardless of the working position. Many see a smartphone. We see an exceptional camera and first-class display. 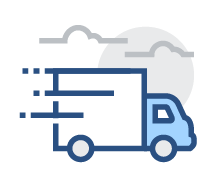 We’ve opted for the iPhone for reasons of quality, user orientation and costs. From our perspective it offers the best camera, a display with the highest resolution and the most progressive touchscreen technology. 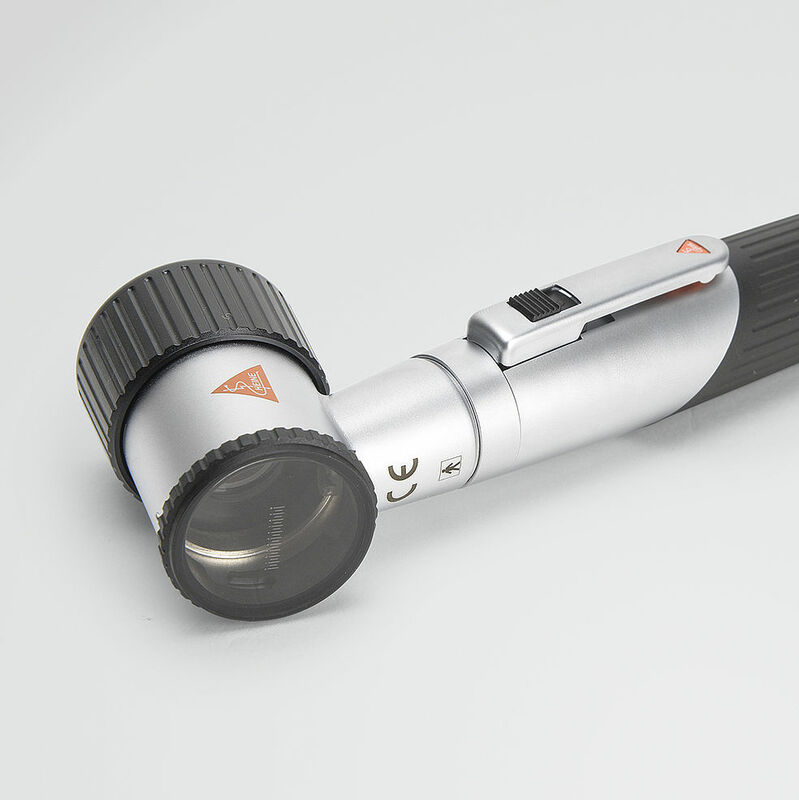 The HEINE NC2 is twice as bright as the predecessor model NC1. The new standard in LED illumination defining optimal light intensity, homogeneity and colour rendering for the most accurate diagnosis. Red is red, blue is blue. Colour temperature typ. 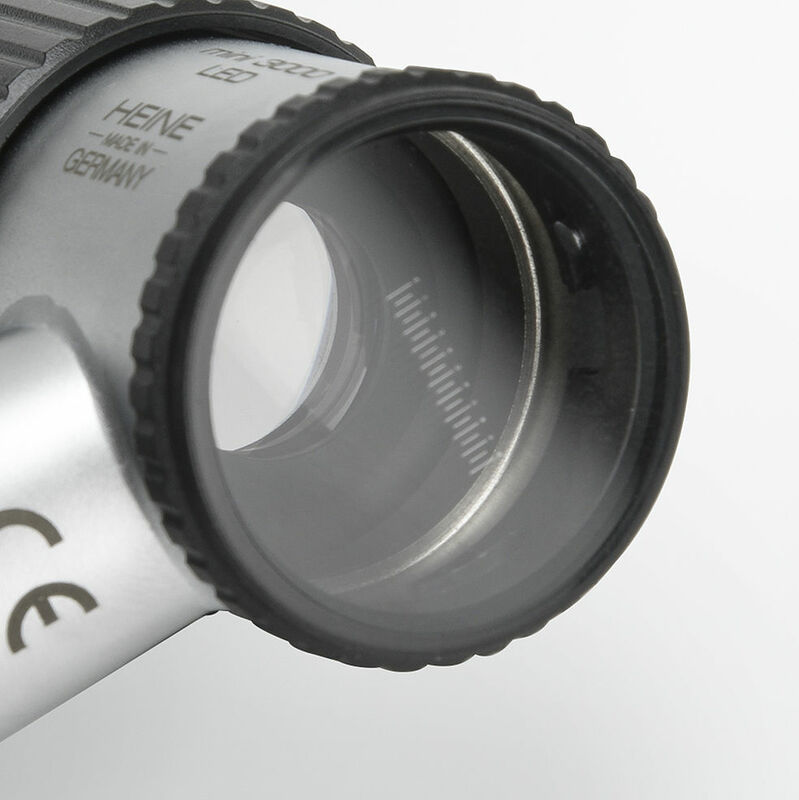 5,000 K. HEINE precision optics with 27mm diameter and an especially large overview field – delivers unmatched sharpness, high-resolution images. Digital. 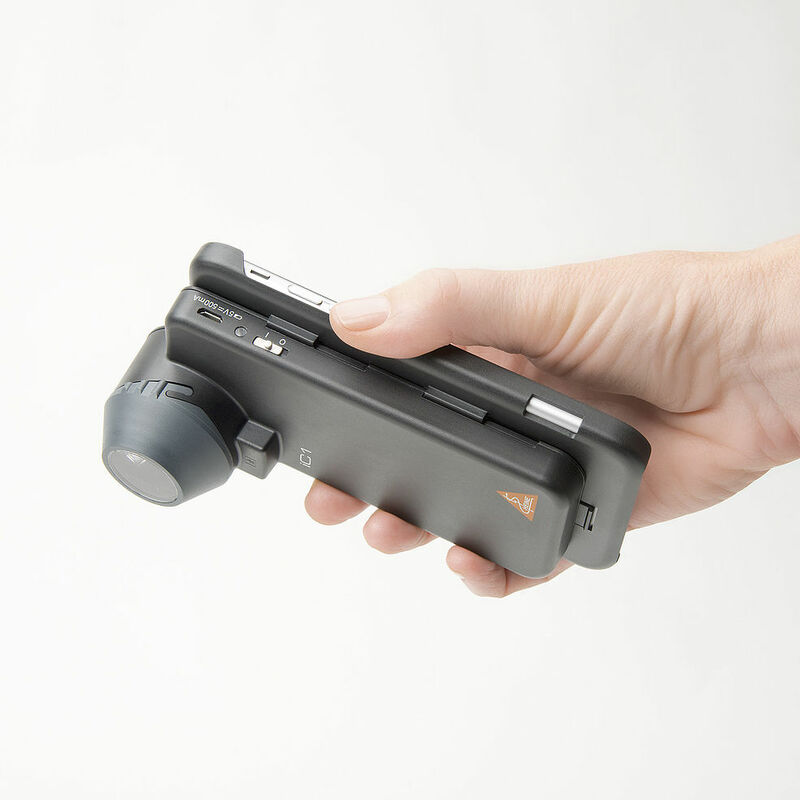 The optional iPhone® / iPod®* accessory and the free NC2 app developed to allow the NC2 to be used like a digital camera. 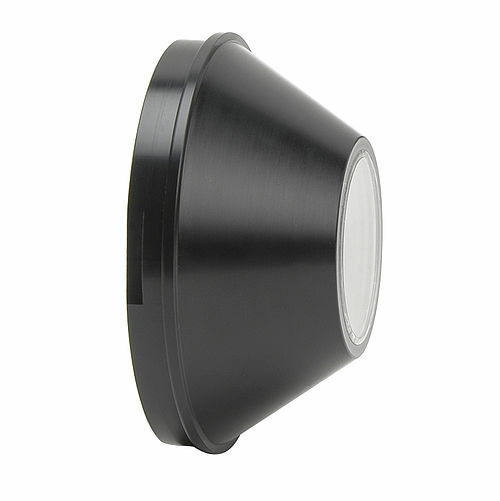 With up to 30 × digital magnification and up to 12-megapixel resolution. 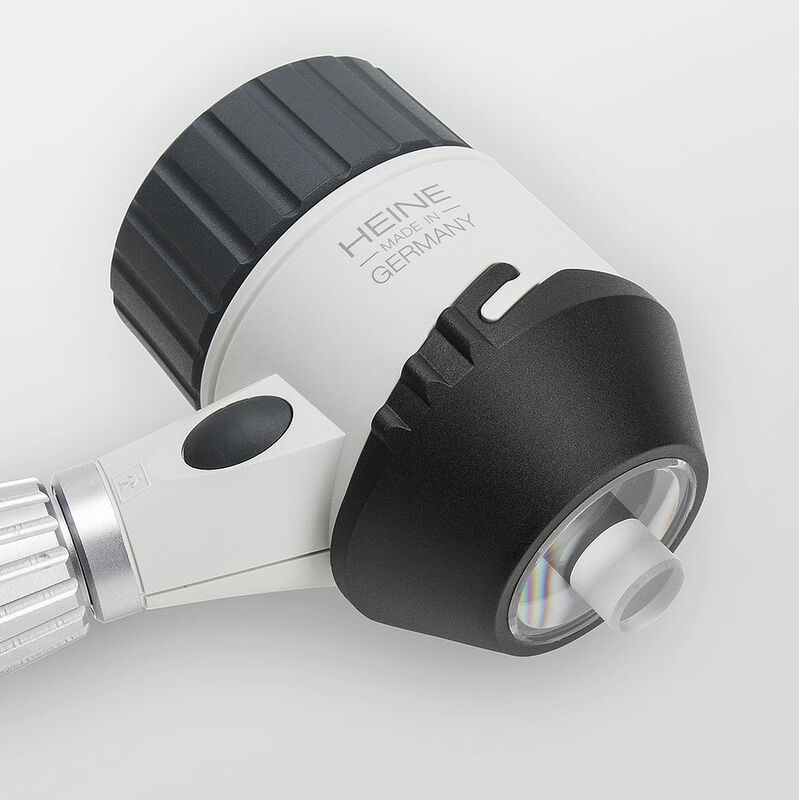 The HEINE mini 3000 LED Dermatoscope with its typical high quality HEINE Precision Optics, offers homogeneous illumination and 10x magnification despite its compact and light design. 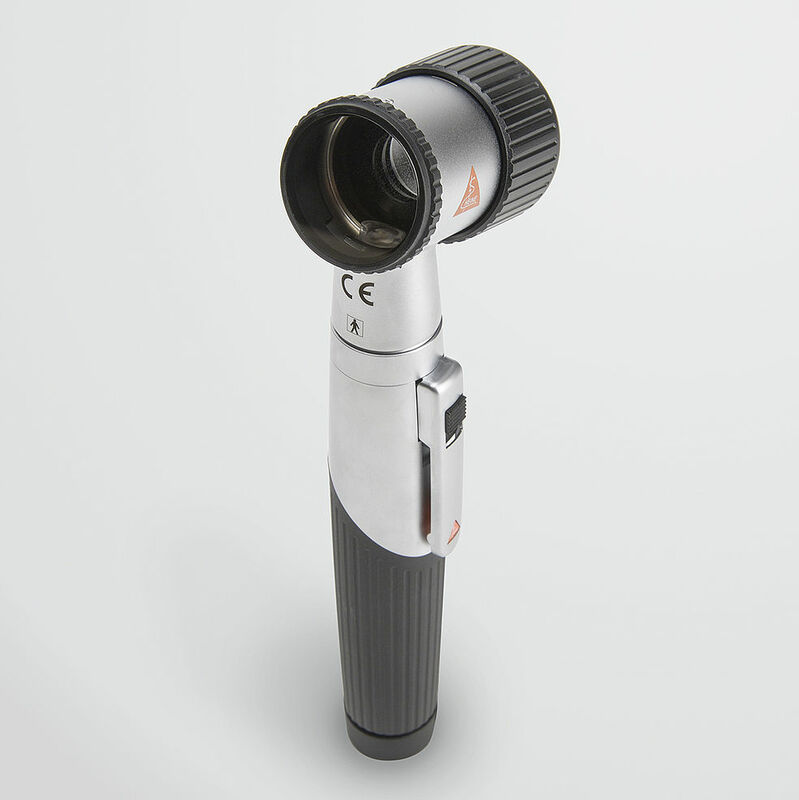 All HEINE Dermatoscopes are delivered with a Dermatoscopy Compendium. Our customers highly appreciated the systematic image overview which helps them to differentiate between pigmented and unpigmented skin lesions.